Carthusians, a branch of the religious order of the Benedictines, founded by St. Bruno in 1086. The first monastery of the order was built in a wild and solitary district six miles from Grenoble, in the department of I sere, known as La Chartreuse, whence the order took its name. 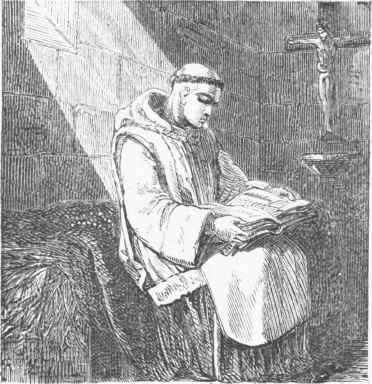 The observances of the Carthusian monks were austere and penitential in an extraordinary degree, even among contemplative orders. They devoted a portion of their time to manual labor, consisting chiefly in the transcribing of ancient MSS. Their labors as agriculturists gained great renown for their name, for they reclaimed marshy and unhealthy neighborhoods, and caused the rocky and barren fastnesses of La Chartreuse and other desert regions to bloom with the fruits of patient and intelligent toil. They had rich and celebrated abbeys in England, France, and Germany. The Charterhouse in London was once a Carthusian monastery. The Certosa of Pavia, and that of St. Elmo at Naples, are still visited by travellers, and for many years a Carthusian community occupied as a convent the baths of Diocletian at Rome. They declined rapidly at the close of the last century, and have not recovered in this. Since the suppression of religious houses in Italy the order is confined chiefly to the Grand Chartreuse and its filiations in France.